You are here: Home / Women in Ministry / And now for something completely different on women in ministry . . . I wonder whether others are as jaded as I am about the debate over the role of women in ministry . . .
We evangelicals have armed ourselves with prooftexts, laid out our exegetical battle plan, sharpened our rhetorical bayonets, and joined battle over the role of women in the church. 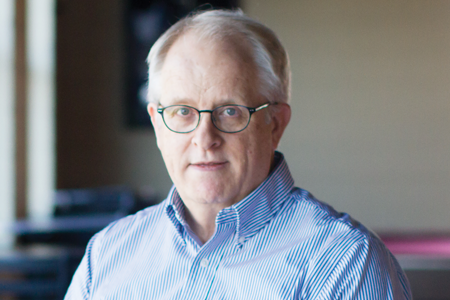 We’ve pitted egalitarian arguments from Genesis 1 against complementarian arguments from Genesis 2. We’ve debated whether the real Paul is the apparently restrictive Paul of 1 Timothy 2 or the seemingly liberated Paul of Galatians 3. We’ve even gotten testy with one another over issues like whether mature Christian women can teach adolescent males, as if the age of 18 is biblically significant. What has resulted from all this? For me it’s like WW1 trench warfare. It’s a stalemate, resulting in a theological no man’s land. Is the stalemate all there is? 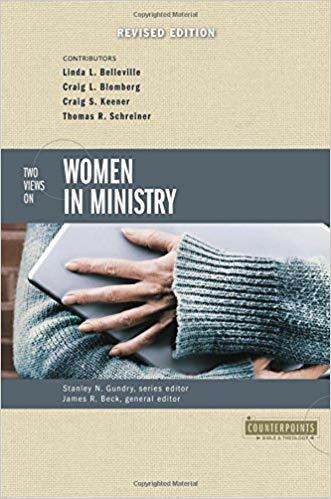 I realize many of us have arrived at deeply-held convictions regarding the two views of the role of women in ministry. That’s not the problem. Whether we identify as complementarians or egalitarians (as if there were only two options) is not what I’m talking about. Yes, we need to articulate biblically-based views of current issues, including this one. 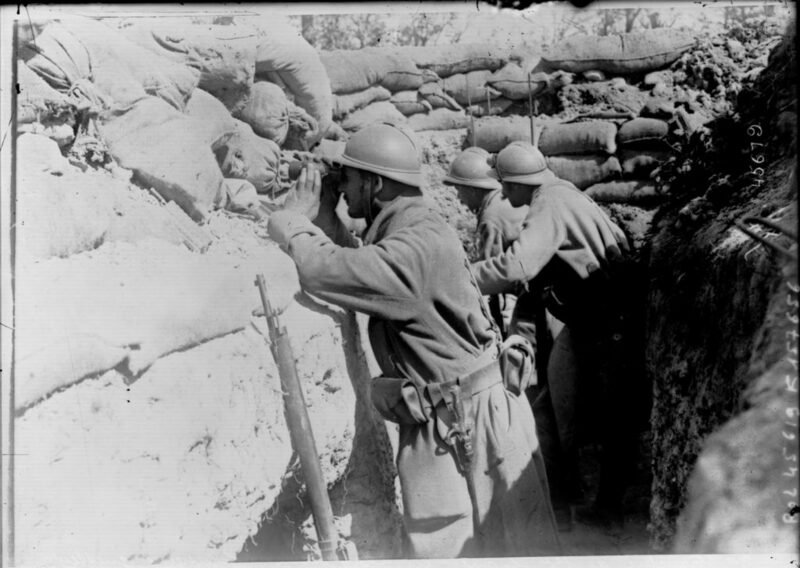 The problem is that we seem to think our work is done when we have decided which trench we occupy. Sure, it’s important to think through issues like this and come to reasoned conclusions, but it’s also important to act on what we have concluded. Our deeds incarnate the views our words articulate. We should be more concerned about helping women actually do ministry than we are about winning the arguments about women’s ministry roles. There’s more than the stalemate. Whether we identify as complementarian or egalitarian, we should agree that ministry isn’t primarily about position or status—unless we buy into “the rulers of the Gentiles lord it over them” model of church leadership (Matt 20:25-28). When Jesus washed the disciples’ feet, he showed us that ministry is about serving one another (John 13:12-17), not about who is the master and who is the servant. As Paul explained in Philippians 2:5-11, Jesus’ example jolts us out of egocentric, status-oriented thinking, into cruciformity. This has profound implications for how we think about and enact ministry. Jesus was among us as one who serves (Luke 22:27), so we must do likewise. 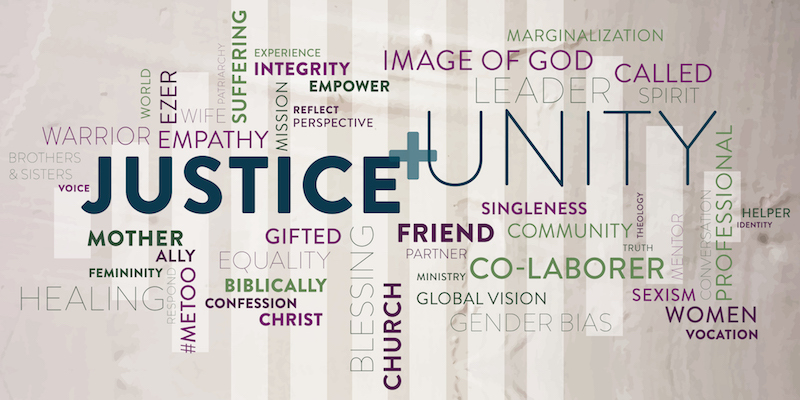 In keeping with this concern, Grand Rapids Theological Seminary, in cooperation with the Urban Church Leadership Center, is holding a Talking Points Conference on April 16 on Women in the Kingdom. 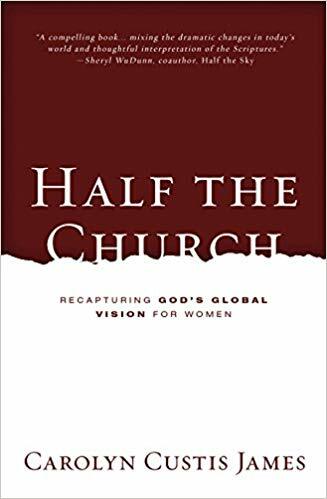 The key question driving this event is drawn from conference speaker Carolyn Custis James’s work in her book Half the Church: Is our vision for women robust enough to enlist and empower all women to bring all their gifts to the body of Christ? If not, at what cost? Participants will be encouraged to reflect on the experience of women in the church—how they are flourishing and how they are marginalized—and to consider how the body of Christ can recognize their gifts and encourage them in their callings. For more information on the other conference speakers and panelists, including Dr. Lynn Cohick, Rev. Dr. Justin Holcomb, and Pastor Marcus Little, click here. The conference schedule is here. It’s time to come up out of our trenches and end the stalemate by working as hard on equipping, supporting, and facilitating women in ministry as we’ve worked on the arguments about women’s ministry roles. This is not about being trendy or politically correct. This is about churches getting in step with the Spirit of God who gifts all believers for ministry in the body of Christ to the glory of the Father. Talking prayerfully and candidly about this issue with ministry-minded women and men would be a step in the right direction. Reading Half the Church in groups and planning how to implement its insights would be another. The snow and ice in Grand Rapids will [probably] be melted by April 16, so . . . Your opening salvo of militaristic language certainly captures a significant part of the history of the CBMW and CBE. I will not propose which group has taken the most potshots. Isn’t it interesting how the same Bible can be used for nearly polar opposite views; and that among those who all honor the authority of Scripture. Perhaps we need a new round on hermeneutics (although even that will not solve major differences. But, perhaps it would show us we all need interpretive humility). There are certainly some significant exegetical and theological issues on the table. It is, however, as you have encouraged, time to find some indisputable common ground and move forward. Sounds like a great conference in April…wish I could be there. Thanks Gary. Speaking of hermeneutics, this is an opportune moment to plug the book you edited, Four Views on Moving Beyond the Bible to Theology. This book teaches all of us about interpretive humility by showing how people who agree on biblical authority differ on biblical interpretation. I agree that each member needs to be encouraged and allowed to use their gifts to build up the church and further God’s kingdom. I enjoyed the phrasing: “exegetical battle plan” and “rhetorical bayonets”. Thanks Jerry. The military lingo might seem to be over the top but it fits the attitudes that are conveyed at times by some of the protagonists in this debate. It is interesting to me to see how church size affects this discussion. In a larger church I have felt more restrictions but not from lack of needs. Moving to a smaller church there is more inclusiveness in ministry, not only for women but for laymen and youth as well. There are more of the parts of the body performing their functions. Everyone is working side by side reducing the opportunity for tension. Thanks for this observation Michele. What you are saying about smaller churches may also be true of ministry on “the mission field.” When there are fewer people available to keep the boat afloat, there are fewer quibbles about who is rowing, eh? A powerful statement right here: “It’s time to come up out of our trenches and end the stalemate by working as hard on equipping, supporting, and facilitating women in ministry as we’ve worked on the arguments about women’s ministry roles.” So excited for the conference coming up! Thanks Maddie, I hope the conference encourages women and men alike to equip the whole body for ministry! “Whether we identify as complementarian or egalitarian, we should agree that ministry isn’t primarily about position or status—unless we buy into “the rulers of the Gentiles lord it over them” model of church leadership (Matt 20:25-28). ” I read that and was like “Dr. Turner is bringing some of that TRUTH!” Thank you for truly keeping kingdom values in the forefront. Thank you Michael. It’s a legit discussion, but comes a time when we move beyond discussion to action. In India the patriarchalism is huge. Culturally, in the villages, the women do not speak in the public gathering. It is true in the classroom setting as well. Should we consider the role of women in the ministry is dependent on the culture? I wouldn’t say the role of women is dependent on the culture in the sense of being determined by culture. Sola Scriptura. Once we have decided what we believe to be the Scriptural role of women, wisely communicating and implementing that role is dependent on the culture. Are we agreed? It makes sense. I think that I as an Indian need to think of how to inculcate the scriptural values which will be relevant and acceptable amidst cultural practices. Thank you for making me think. As a woman and a Monty Python fan, this post had me hooked from the beginning. I am really looking forward to this conference. I appreciate your post and agree that the goal of all of this is serving one another in love. To me it is not an issue of power, as in “I want to have power in the church.” To me it is an issue of having the opportunity to serve in my calling. I have spent my Christian life feeling that there’s something wrong with me. I think like a man, I enjoy the things guys like, I enjoy studying the word of God and presenting it in a way that is only open to men (at least in my church tradition). So thanks again for this post and for the Python reminder it is time for something completely different. As far as “thinking like a man” goes, it’s difficult to know whether what we might call “thinking like a man” is something we receive from human culture or from divine revelation. Some years ago a female student observed that she would rather take canoe trips (what the men in her church did) than make scrapbooks (what the women in her church did). Was she thinking like a man?! Studying and teaching the Bible is not an exclusively male domain. It has been my experience that to study and present Scripture in an academic manner is a masculine event. To explain, when any of us walk into a room, we are surrounded by electromagnetic waves from radio to cell waves-they are just there in the room space-we just don’t see them. When I as a woman study and present God’s word, there is an undercurrent of masculinity that I enter. It can’t be helped-it is just there. I know it shouldn’t be that way, it just IS that way. I recently attended a Women in Ministry Event at GRTS Seminary to discuss our experiences as women at seminary. I sat around a table with three other women and all of us expressed that we happened to like guyish things. So yes, we would all prefer “canoe trips instead of scrapbooking”. The reality is, we have all felt that there was something wrong with us for being like this. Three of us were women of more advanced age (45 or above). One of the women was in her 20’s and she shared that her experience was that (some of) the men at seminary were threatened by her. The older ones in our group didn’t experience that; but felt more like the male students treated us like grandmothers or moms. I appreciate that you are hoping for a day “when Studying and teaching the Bible is not an exclusively male domain.” But today is not yet that day! I don’t doubt that this is your experience and the experience of many others. Are there other ladies out there who want to say amen? For me the question is whether your experience is due to cultural factors or due to the innate differences between men and women who are both made in the image of God. There are differences based on creation, but there are also cultural stereotypes having little if anything to do with creation. The “vibes” theoretically could be coming from either source, how God made you as a woman or how culture has molded you. Or a combination of both, I guess. It’s not that I am hoping for a day “when studying and teaching the Bible is not an exclusively male domain.” Receiving, obeying, and proclaiming God’s revelation has always been a HUMAN domain. The question is whether there are legitimate biblical or cultural reasons to limit how females do this.